Hainan Airlines will continue to pursue international deals this year when “the proper international business opportunities” come up, according to chairman Chen Feng. In recent years, the carrier has accelerated its international expansion pace. Last year, Hainan Airlines’ parent HNA Group acquired a 48% stake in French airline Aigle Azur Transports Aeriens, making HNA Group the second largest shareholder. Hainan Airlines said last year that it would launch a joint venture, called Ghana’s Africa World Airlines, with the China-Africa Development Fund; Ghana SAS Financial Group; and Ghana Social Security and National Insurance Trust. "We would continue to push forward international M&A activities this year, and it is expected that a big international deal will be announced,” Chen said, declining to give details. Chen also predicted a slower growth of Chinese market demand due to the slowdown of China’s domestic economic growth and high speed rail competition. “But for us, there are still plenty of good opportunities to conduct cross-border M & A activity,” Chen said. Separately, the Haikou-based carrier plans to introduce a strategic investor to reduce its 79% debt ratio. 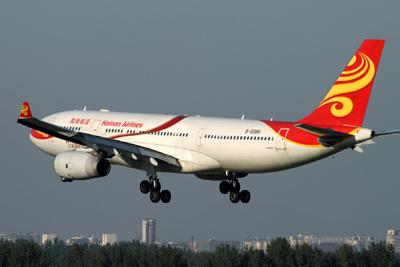 Last year, Hainan Airlines increased its operating revenue to CNY126 billion ($20 billion), up 17%.